While I had taken a few yoga classes with my mom in the early 80's at New Woman Fitness Club and then in college for my PE credits, I’d never been to a “real” yoga studio. And I hadn’t planned on going to one that evening either. But on that particular Monday night, I felt depleted in my body and tangled in my heart in a way that I had never felt before. So instead of walking past that sign, I turned into the doorway, took the small elevator up to the fourth floor and experienced what I consider to be my very first “real” yoga practice. I remember quietly crying all through savasana. I then took class seven days a week for the next three years. Eventually, I became a teacher. I had been an athlete all my life and a go-getter from the get go.... so for the first couple of years of my practice focused on 'accomplishing' poses. But little by little, as life brought forward the challenges of illness, injury, anxiety, and loss I needed more from my practice. Throughout my journey I have been blessed with the opportunity to study with some the greatest yoga and meditation masters of our time, all of whom I have deep gratitude for. And while they have each contributed to my growth and well-being my practice of Deep Listening truly evolved when I began to integrate the work of Buddhist teacher Pema Chödrön. In 1998, Omega Institute invited me to lead the campus yoga program during Pema’s retreat. In order to craft yoga classes that would enrich her students’ experience, I read her book When Things Fall Apart. She had me at page one. The opportunity to receive her teachings live and immediately incorporate them into my yoga classes exponentially elevated my absorption of her work. After that weekend with her, I knew I had found my teacher. But what I didn’t know then was that I’d be invited to lead the yoga classes during her program annually for the next 20 years. In fact, I just returned from retreat with her a couple of weeks ago. The practice that I cultivated through digesting Pema Chodron's teachings is the heart of all my offerings and my first book, Deep Listening. As a Certified Yoga Therapist, I've also studied the work of the most prominent mind-body Doctors, Scientist, and Researchers. I've learned so much about how our bodies work, how our minds work, and how stress is at the root of so much of our fatigue, burnout, anxiety, addiction, and illness. But the truth is, stress is not really the problem. The problem is that we need to respond differently—not only to stress but to anything that makes us uncomfortable. Deep Listening is the habit of paying close and tender attention to our body, our mind, and our heart so we can meet our “stress” differently. When we meet ourselves with kindness and compassion, we feel more cared for. This helps us feel supported and safe - which is essential for us to switch from our Stress Response to the Relaxation Response. Not only does this help initiate our self-healing systems, but it also allows us the ability to respond to ourselves, others and events in our lives from a place that’s calm, clear, and open rather than react from old habits or stories that may not serve us. In this way, Deep Listening grants us access to our wise inner guidance allowing us to "respond" rather than "react". It ups the odds we will make more mindful and compassionate choices. With the plague of stressful challenges in our lives, communities, country and world right now - I am more passionate and dedicated than ever spread peace, healing, and tools for well-being. 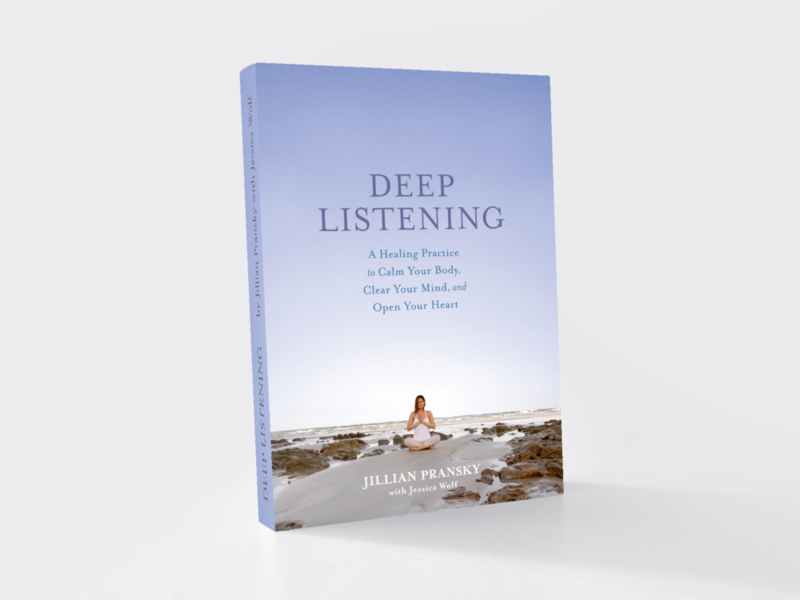 Learn more about Deep Listening and how to receive and purchase your copy today!